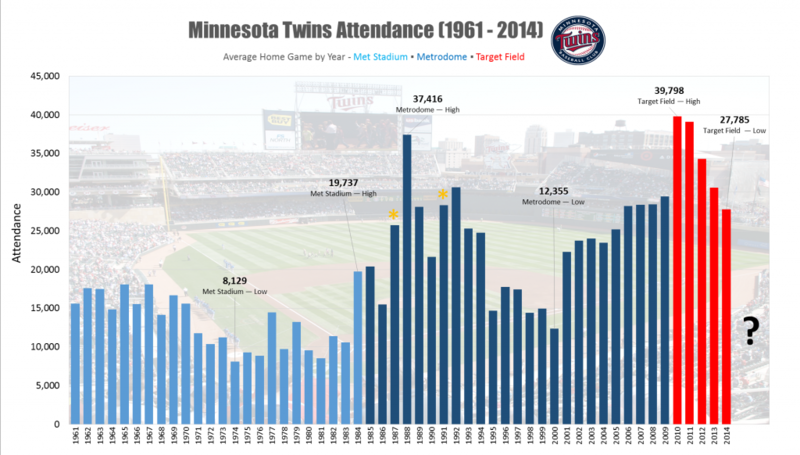 Twins Home Attendance in 2015: How Low Will it Go? 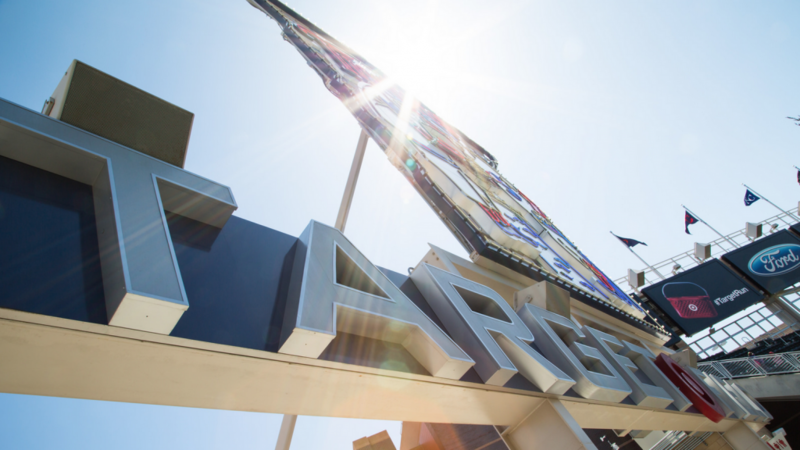 You are at:Home»Arts/Entertainment»Sports»Twins Home Attendance in 2015: How Low Will it Go? 2010 was a sweet summer for the Minnesota Twins and their fans. Target Field opened and the return of outdoor baseball seemed to have everyone in town excited. The Twins went 94-68 — including a 53-28 record at their new grassy, un-domed home — during the regular season. They won the American League Central and Ron Gardenhire was honored with a Manager of the Year award that was long overdue. Thus far, those good things have yet to arrive. Just recently, on April 3rd, they lost newly acquired right handed starting pitcher Ervin Santana to an 80 game suspension for PED use. Then the 2015 season started, and the Twins proceeded to lose five of their first six games, including an embarrassing 0-3 season opening sweep at the hands of the Tigers in which our punchless hometown club was outscored by a total of 22 to 1. That’s a lot of losing since 2010 — That’s like Timberwolves-caliber losing. Perhaps as a result of all the Twins struggles on the field and in the clubhouse, they’ve also lost a lot of fans in the stands at Target Field in these last four years. In fact, since it’s inaugural season in 2010, Twins home attendance has dropped every year — most significantly in the three seasons since 2011. The data points are clear: The Twins are losing attendance. Quickly. Attendance steadily rose at the (ugly) Metrodome during the first decade of the new millennium and spiked up to 39,798 per game in 2010 with the debut of Target Field. However, in just four years, the Twins have lost 12,000 fans per game in average attendance. Last year’s 27,785 per game average was below the per game averages during the final four years at the Metrodome (2006-09). Most new stadiums lose some of their novelty over the first few seasons, but the Twins consistent losing seems to have driven fans away in significant numbers. If this trend continues — and the team continues to perform as poorly as they have over the last four years — just how low will the average per game attendance drop? It seems safe to predict the Twins, barring a miracle, will draw less than 25,000 per game in 2015. If they have an extraordinarily bad season in Paul Molitor’s first year as skipper — say, 100+ losses — could attendance dip below 20,000 per game? The Minnesota Twins play their home opener today at 3:10pm against the Kansas City Royals.